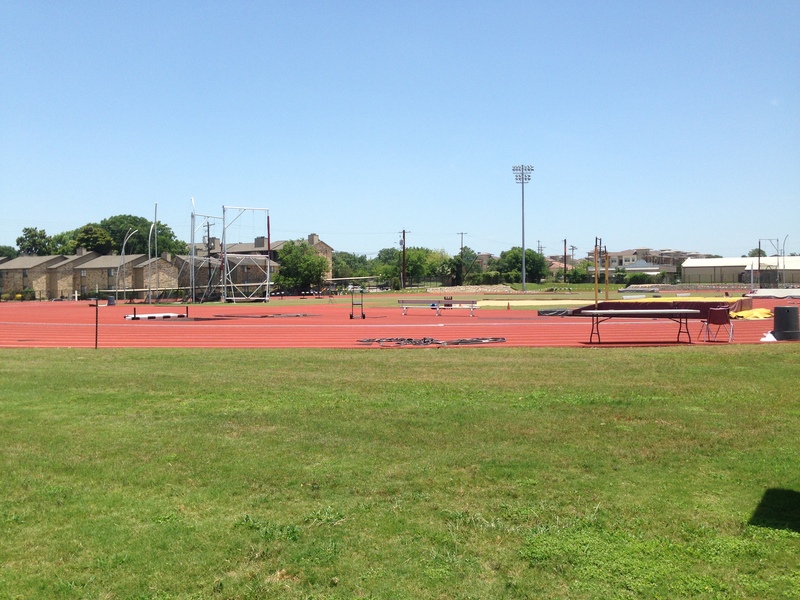 SAN MARCOS, TX ­- The past week has been nothing but extraordinary for the Texas State Track and Field squad. Six Bobcats were sent to the NCAA championships and all six came back with All­-American recognition. Six Texas State track and field team members received All-American recognition. Photo by Holly Henrichsen. Chelsie Decoud received First Team All­-American with her teammate Mylana Hearn earning Second Team All­-American. The 4×400 Men’s relay team of freshman Lincoln Warren, sophomore De’Marcus Porter, junior Dexter Lee and senior Anthony Johnson were given All- American honorable mention honors. Chelsie Decoud was impressive throughout the week in the women’s high jump. Earning her a First Team All-­American spot as only a sophomore. Decoud cleared 1.82m (5’ 11.5”) at her maximum. She failed to clear 1.85m (6’ .75”) on three attempts, landing her in seventh. Mylana Hearn set a new career leap with the distance of 12.89m and the men’s 4×400 ended the week as 20th overall.